Call toll free with inquiries! The durable, lightweight Sandstorm rollator offers easy-to-operate, ergonomic handbrakes that lock the rear wheels for security. It provides increased flexibility, allowing users to perform daily activities with less fatigue. 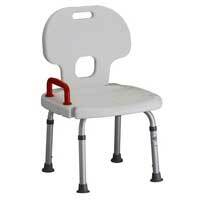 The sturdy seat has a removable foam-padded backrest for comfort. 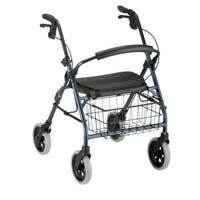 Features adjustable handle height for a custom fit; easy-to-operate ergonomic handbrakes lock rear wheels for security. The new Invacare Rollite Rollator is unlike any other in the industry, addressing the needs of providers, clinicians and consumers at an affordable price. With its innovative lightweight design, the Rollite offers a flip-up seat with a built-in handle, flexible backrest, ergonomic dual paddle folding mechanism and handbrakes. The Cruiser Deluxe is the legend in the Nova Line. Equipped with the best of the best, the Cruiser Deluxe comes with 8� wheels, a deluxe seat with a built-in seat pad, and a sleek frame. Get the perfect fit and features with The Zoom. Choose your seat height from 18", 20", 22", and 24" according to your height, from petite to tall. Features include 8" wheels, an under seat pouch, a padded seat, our patented feather touch hand brakes, flip up back, and self threading height adjustment knobs. The Traveler 3 Wheel Walker will get you going places with its unique, three wheel maneuverable design! It comes with 8� wheels, locking hand brakes, a tray, a basket, and a pouch. The patenet pending crutch substitute is self-propelled and fully adjustable. With regular use, patients exercise the muscles around the knee, hip and trunk. The padded bench and swiveling front wheels aloow the user to turn RollerAid TM a full 360 degrees without picking up the scooter. Models include locking front and rear brakes, a removable basket and a drink holder. RollerAid's unique triangular wheelbase accomodates left and right leg injuries. 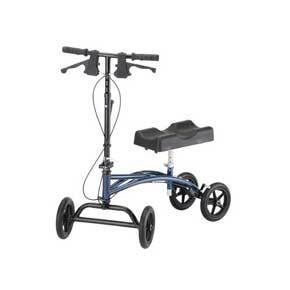 The Nova Knee Cruiser TKC-10 is an excellent mobility device for foot or ankle injuries when the affected area cannot bear weight or has limited weight bearing precautions. It can be a great long or short term alternative to crutches or folding walkers that can have adverse affects such as back or under arm pain from extended use. The Knee Cruiser allows the user to maintain an active and more independent lifestyle which will help them progress to a quicker recovery. The Turning Leg Caddy is designed for anyone who has an injury below the knee. Standard crutches cause underarm discomfort, balance problems and other adverse consequences. 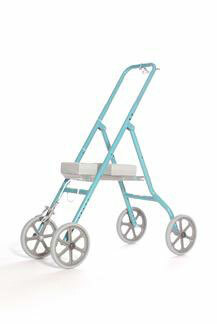 Unlike conventional walkers, the Turning Leg Caddy leaves both hands free for daily tasks. 120 degree turning radius allows for easy mobility and a hand brake provides maximum control. 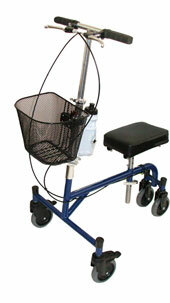 The Turning Leg Caddy is more maneuverable than wheelchairs and easier to transport. 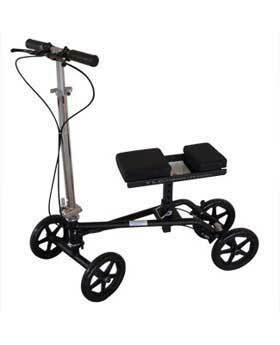 The Turning Leg Caddy has every possible feature and is the most maneuverable leg caddy / knee scooter on the market. 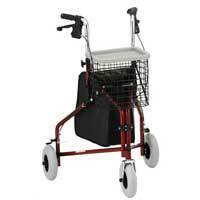 The Patented design of the Original Roll-A-Bout is a modern solution to the "age-old" crutch. We have designed the answer to mobility on one foot. Those who have lost the ability to walk due to a lower leg injury benefit greatly from the safety, stability and comfort of the Roll-A-Bout. 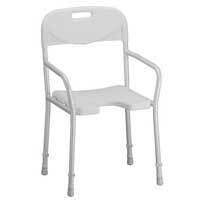 The Invacare mobile shower chair is designed for safe transport to and from the shower; with a flexible nylon backrest. 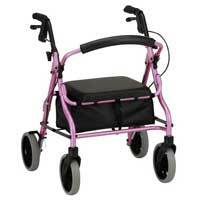 Features include anodized, non-corrosive 1-inch aluminum tubing and 5-inch swivel casters with rear- wheel safety locks. Once pail is removed, chair easily rolls over most toilets. 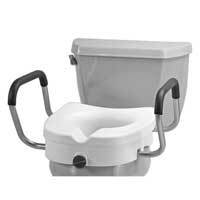 Toilet seat and pail are included. Horseshoe design seat for hygienic purposes. Arms provide added safety and lift assist capability. -supports up to 350 lbs. 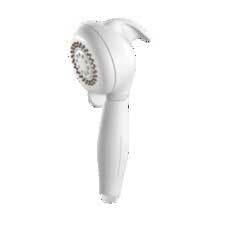 39� wide, 74, 80 or 84� long.Head, Foot, and Hi-Low adjustable height. Orthopedic mattress, choice of cloth, or vinyl. Lowest setting 18" from top of mat to floor. Optimal lowest setting 15� . Lowest setting available at 18�. * What is a dual king? The perfect approach for a couple to accommodate the requirements of one of the individuals and also serve the needs of their relationship in a desirable fashion. 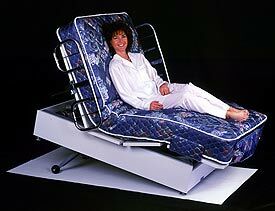 Two twin beds side by side, each with their own controls, create a dual king measuring 78 by 80 inches. An Original Transfer master Twin can be united with another original or with either of the less expensive choices listed above for maximum comfort, affordability and a wonderful night�s sleep. Mattress guards keeps mattress straight. **** Clone and Companion available to match Valiant to make a dual king. ** Call for custom quotes, or special need modifications. In house set up available for additional charge. We pay shipping curb side delivery to your home. Bed Height 15� min � 23� max. Fully Electric head, foot and height. 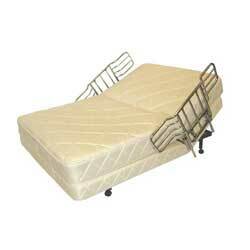 Adjustable crossbars: 46.5" to 74.5"
The Magic Bed Rail is for home bed rail use only. It prevents someone from rolling out of bed, providing safety and security. It features a heavy duty chrome-plated steel construction that supports up to 500 lb., making this bed rail suitable for bariatric use. The specially-designed curved rails help prevent limbs from becoming trapped between bed and rail, averting possible injury. 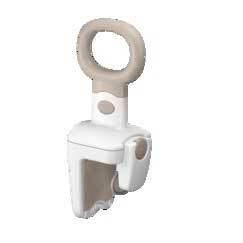 The innovative lever design allows both caregiver and user to raise and lower the rail. In the raised position, the rail provides extra security and makes a sturdy handrail for getting in and out of bed. The Scooter-Lift Sr. is electrically powered from the vehicle's battery. Simply press a button on the controller and the Scooter-Lift Sr. raises and lowers your scooter, allowing you to manually swing it in or out of the vehicle. The 5000 youth is a school desk and a stander. It�s specifically designed for growing teens. 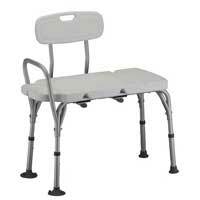 The modular sit-to-stand design encourages on-going compliance with existing standing programs. Support options can be added to accommodate the needs of many users.